ondon, UK. 5th March 2018. A drummer and a piper lead trade unionists and other socialists on their march through Croydon town centre to a rally at Ruskin House in celebration of May Day, International Workers Day which is celebrated internationally on May 1st. Unfortunately May Day is not a Bank Holiday in the UK. 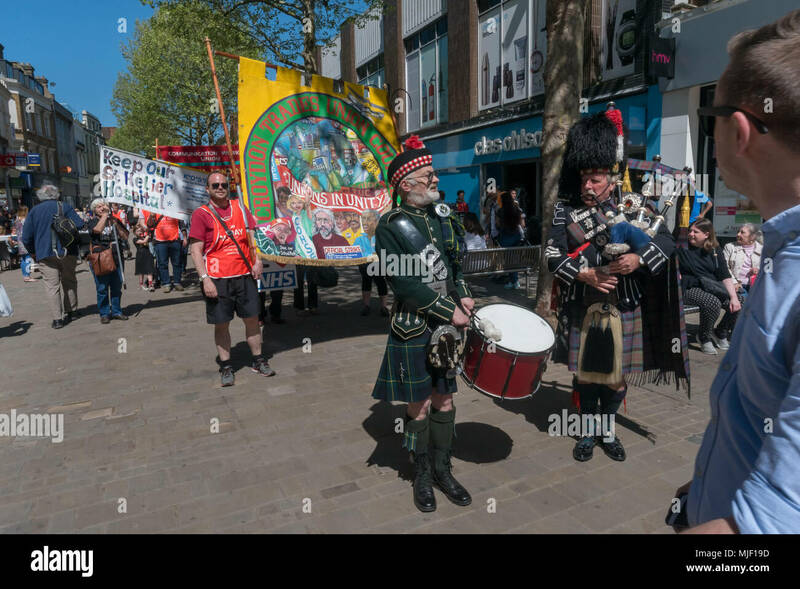 The marchers were lead through the main shopping street by a piper and drummer in full Scots dress, attracting the attention of shoppers and others on the busy street. I left the march before it reached Ruskin House where there was to be a rally with speakers including Ted Knight.